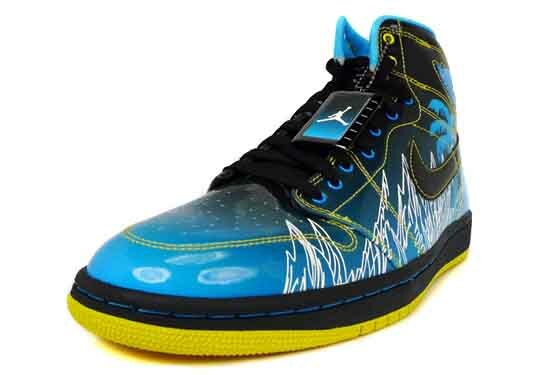 The Doernbecher Air Jordan 1 (I) High Retro DB Black / Vivid Blue – White – Varsity Maize released in limited quantities on Nike.com and Niketowns throughout the United States. These Doernbecher Air Jordans were designed by 16-year old Tony Taylor, who underwent a Kidney transplant. Within his design, Taylor sends a nod to his alter ego: Mr Boober. Nike donated nearly $600,000 to the Doernbecher Freestyle foundation in 2008. This is the fifth time Nike has collaborated with the charity and the second time an Air Jordan was designed by a Doernbecher hospital patient.